Welcome to the British Stratego Association! "The British Stratego Association exists to promote the game of Stratego within Britain and around the world." The British Stratego Association was formed in July 2005 by 3 of Britain's top Stratego players. Since the B.S.A. was created, the U.K. has seen a much higher profile for U.K. Stratego. This has resulted in many more British players taking up the game. Our success has not only been with the increase in players (which is one of our primary aims) but also with the increased strength of ALL our players. This increase in standards resulted in 3 major tournament success's for 3 different British players within the first 18 months. The strength of some of our "new" players is something which is always good to see. 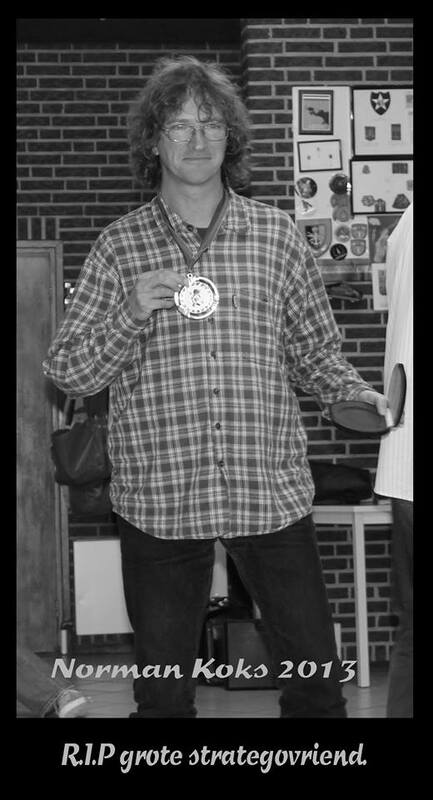 One example is our top junior player, who only started playing the game in September 2005. By November 2006 he was crowned "Junior European U.L. Champion". & the British Stratego team becoming the World Team Champions in 2007. Four World Championships over 4 days in August 2015. More Info and your invitation can be found here. 11 Dec 2014: Last Sunday (07/12/14) Norman Koks sadly passed away. My deepest sympathy goes out to Norman's family and friends at this time. Norman was well respected and a much loved character in the Stratego world. He had played nearly 500 tournament games in many different countries and including many World Championships. The news of Norman passing at only 46 years of age came as a big shock to everyone. Norman was one of the nicest guys you could ever meet and his enthuiasm for the game was legendary. He was a good friend, a great Stratego warrior and a true gentleman. He will be sadly missed, but never forgotten. Rest in peace good buddy. 11 Dec 2014: Improvements planned for 2015 and our 10th Anniversary. There is a major overall of the BSA website planned for 2015. Included in this major overall is a new BSA logo. Another great World Championship! Unfortunately only 2nd place this year for the British number 1. Another Bronze medal for Team GB, just like in 2011. Team GB from left to right: Cris Sargeant, Jonathan Arnott, Richard Ratcliffe & Anthony Melbourne. Another pic of team GB, this time in action against France. Not something you see very often. For the first time at the Olympiad we had 3 players tied in 2nd place. The medals were very impressive too....... take a look at the Gold medal. 30 July 2012: The Stratego World Championships 2012 will take place in Haastrecht, Netherlands from 24th to 26th August 2012. All the details can be found from this following link. Everyone is welcome. 29 July 2012: Stratego is back in the Olympics. The Stratego event will take place at the Mind Sports Olympics in London on Sunday 19/08/12. Everyone welcome. More details, including venue, costs, prizes etc, can be found on the MSO website. 19 July 2011: The Stratego World Championships will be held in Newcastle, England from the 3rd to 7th of August 2011. The tournament is open to everyone regardless of strength or experience. 15 December 2009: The 2009 UK National Stratego Championships will take place over the Christmas holiday period in Sheffield. The 4 tournaments will be split over 2 days and 2 different venues in Sheffield. The tournaments will take place on the 28th & 29th December 2009. Full details of the tournaments and the venues can be found here. 1st: Richard Ratcliffe (GB) , 2nd Wout Gulden (NL) , 3rd Kees De Vos (NL). 1st: Richard Ratcliffe (GB) , 2nd Wout Gulden (NL) , 3rd Matthew Ratcliffe (GB). 15 August 2009: The Stratego Duel World Championships & the British Open (Classic event) will be held at the Hillsborough Hotel, Langsett Road, Sheffield, England on the 29th August 2009. The price for Seniors will be £5 per event and for Juniors £2.50 per event. Everyone is welcome regardless of ability! Further details about the time and format of each event can be found here. 10 March 2009: The Stratego Classic World Championships will take place on 7th/8th & 9th August 2009 at Gladbeck in Germany. Further details can be found here. 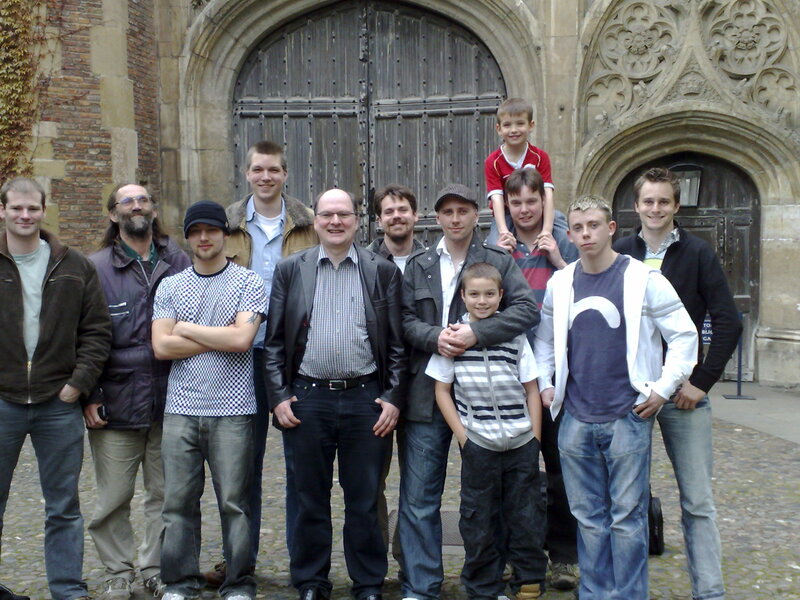 27 February 2009: The British Open Stratego tournament is to be held on Saturday 2nd May 2009 at Trinity College Cambridge. The tournament will start at 10:30am and everyone is welcome regardless of experience or ability! In Stratego Classic, Anthony Melbourne becomes the British Champion for the first time and Jack Sargeant mirrors his success at the Stratego Olympiad by becoming the junior British Champion. In Stratego Barrage, Richard Ratcliffe becomes the British Champion for the second time and Ashleigh (Morris) Ratcliffe followed her recent junior World Championship win by becoming the junior British Champion. In Ultimate Lightning Stratego, Richard Ratcliffe becomes British Champion for the third year in a row. 22 November 2008: U.K. National Stratego Championships to be held in Derby, England on the 6th December 2008. The venue will be the Old School House, Spondon, Derby. Full details about the events can be found here. 20 September 2008: Great Britain takes all 4 Gold medals at the 2008 MSO. Richard Ratcliffe wins the 2008 Barrage Stratego World Championship and the Stratego Olympiad. Ashleigh (Morris) Ratcliffe becomes the junior Barrage Stratego World Champion and Jack Sargeant becomes the junior Olympic Champion. 09 August 2008: The 2008 Stratego Olympiad & the Barrage Stratego World Championships will be held in London, England on the 23rd of August 2008. Everyone is welcome to attend regardless of ability and the prices of entry are £8 per person per event. This year the venue is the "Royal Horticultural Halls Conference Centre, Greycoat St, London, SW1P 2QD. 05 May 2008: Results and pictures from the British Open Stratego tournament held in Cambridge. 01 May 2008: The 2008 Classic Stratego World Championships to be held in the Ukraine on 16th & 17th August 2008. Further details can be found here. 07 April 2008: British Open Stratego tournament planned for the 3rd of May 2008. The venue is Trinity College Cambridge. The price of entry is £6. Anyone interested in playing can register by contacting Ace@UK-Stratego.com. Further details about this event can be found here. 10 Dec 2007: Results of the 2007 U.K. National Championships. 10 Dec 2007: A British player wins the Ultimate Lightning World Championship for the 2nd year running. 29 Aug 2007: The Great British Stratego team wins Gold in the World Team Championships at the Mind Sports Olympics. The full results and photo's from the 2007 Mind Sports Olympics will appear here over the next few days. 14 Aug 2007: Sign the Mind Sports Petition! This petition seeks to improve their status by requiring all Government departments to treat mental and physical sports on an equal basis. 27 June 2007: Dates for the 2007 Stratego Olympiad & the Barrage World Championships are announced. Compete with some of the best Stratego players from around the World! More details about the 2007 Mind Sports Olympics. 16 Mar 2007: Stratego search launched: combining pages from B.S.A., UK-Stratego.com & the I.U.L.A. This Stratego search contains over 70 pages of useful Stratego information. 16 Mar 2007: UK-Stratego.com website opened. This site is full of interesting Stratego information and includes a player profile of the leading British players. 15 Mar 2007: Updated entire website and added new links, new pages and re designed entire site. 01 Feb 2007: New Stratego projects announced in the U.K.
01 Jan 2007: New Web Master takes over the reigns. The B.S.A. would like to thank the previous Web Master for all his hard work in helping maintain the site over the last 18 months. The British Stratego Association 2007. The British Stratego Association is a non- profit organisation which aims to promote the game of Stratego around the World.